Since May of 2011 the RSL has been my steady off road companion. 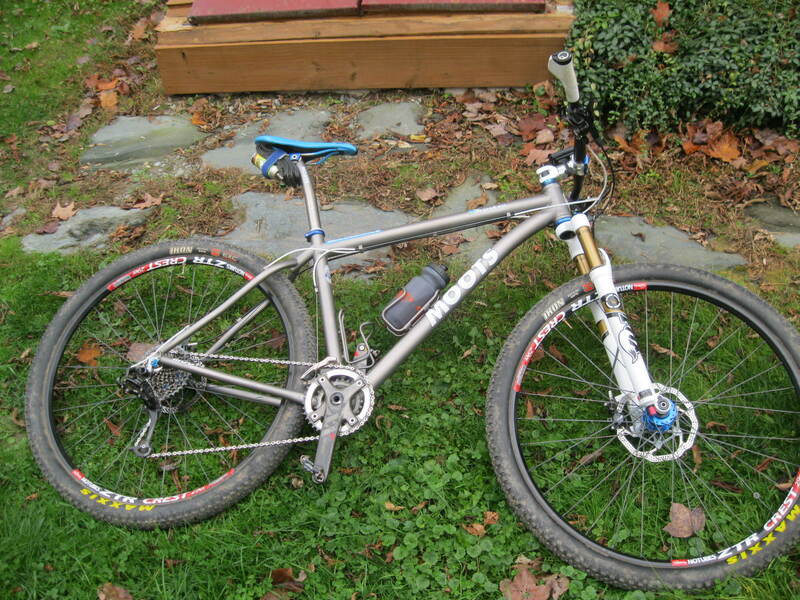 The summer after I bought it I rode it almost exclusively and preferred singletrack and dirt roads on the RSL to pavement on the Compact for all but the longest of rides. It’s gone through several changes since then including three suspension forks, four wheelsets, four sets of Avid Elixir brakes and countless cockpit mods trying to get it just right. Well for now, this is just right. Since this spring I’ve moved the Stan’s wheels onto the Divide in favor of the hand built Hope/Sapim CX Ray/Crest option shown here. I’ve also gone back to Ergons- I just can’t match the comfort on anything else, so I’m running the GS1 in small, believe it or not. Those are of course white to match the cables and fork, but also to remind everyone that this is a race bike first and foremost. There’s also an SDG Duster RL saddle instead of the WTB Devo, but I might swap that again down the road. The Duster allows for more movement in technical terrain so there’s a benefit to that on this bike. I shortened up the stem from a 100 mm x 10 degree Thomson X4 to a 90 mm x 10 degree to keep the reach consistent with the wider 700 mm Syncros bars. Can’t argue with Thomson, and now my spare parts bin is the beneficiary of 2 perfect 100 mm X4s because I obviously had to have this match the Divide. The biggest change (as Chsad pointed out) is the 2014 Fox Float 32. 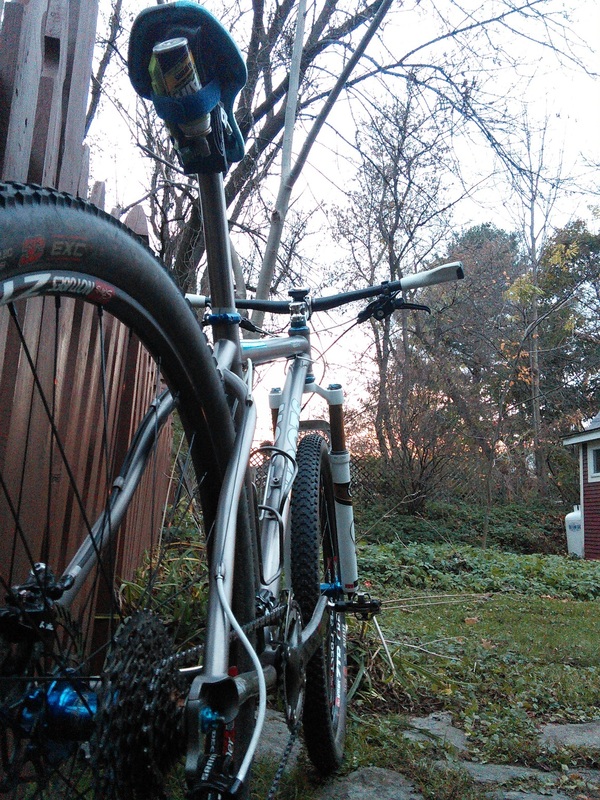 The 2014 has an improved CTD damper- and I’ve been very happy with this fork so far. With a tapered steerer and QR15 it’s as light as my straight steerer/qr dropout SID while also managing to be markedly stiffer laterally. 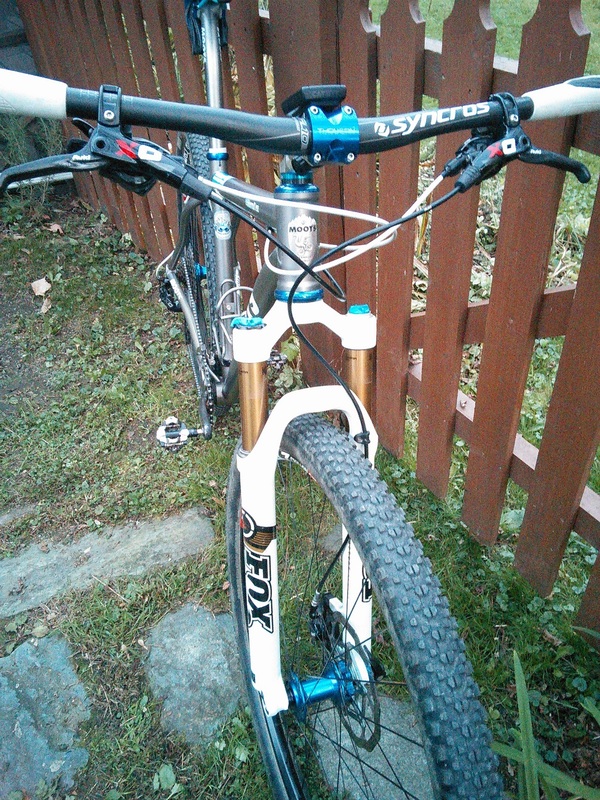 The Float is a different fork from the SID even though it occupies the same XC-centric niche. It tends to have more of a trail-ish feel, and by that I mean it’s comfortable sitting a little lower in the travel and being more active than the SID was. If the Float rides best under sprung and over damped then the SID preferred to be over sprung and under damped. While the XLoc was the best remote lockout I ever used it did limit the adjustability of the damper- either the lockout worked and the damping sucked or the damper was decent but the lockout was mushy. The damper adjustment was super finicky and hard to get right. There’s also no adjustable negative spring on the Float because you just don’t need it. Pedals have been updated to the new XTR with the wider body. They’re still the XC model, but the more substantial platform provides much better stability throughout the pedal stroke and since running the new Shimano pedals (including the road going Dura Ace 9000 on the Compact) I’ve had much less back trouble because I’m staying more aligned under torque. Who knew? 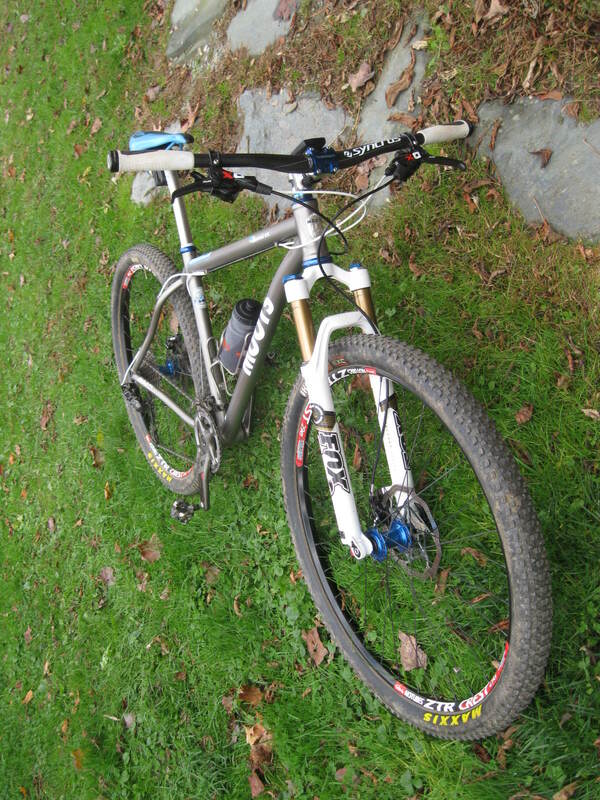 Tires are still my tried-and-true Maxxis Ikons because they’re absolutely awesome. With the right balance of traction, weight, rolling resistance and versatility I end up running them 99% of the time unless the terrain is super nasty. The only things that are still the same as the original build are the seatpost, upper headset race, front derailleur, crank, and shifters. Will I run the RSL at this weekend’s Circumburke 50 mile marathon? I haven’t decided yet, but as I write about it I’m having a hard time convincing myself to ride the other bike. And that’s subject to change with the wind, of course. The RSL is without a doubt the mountain bike by which I judge all others, and I can’t think of a better compliment than that.